White bread with olive oil, jamón, cookies or churros for breakfast? That’s not everyone’s favorite – but unfortunately what the Spanish usually have for “desayuno”… When it comes to breakfast I am really spoiled, since my dad and my boyfriend are both bakers… We always have fresh bread at home – and I am talking about REAL bread with seeds … But no worries, also in Seville you will find some places where you get delicious and healthy breakfast. 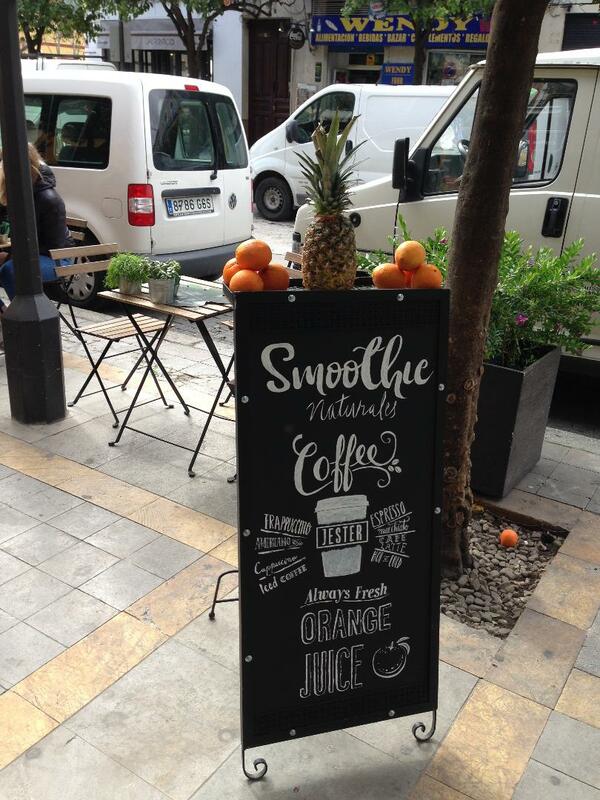 I’ll tell you my favorite places for healthy breakfast in Seville. 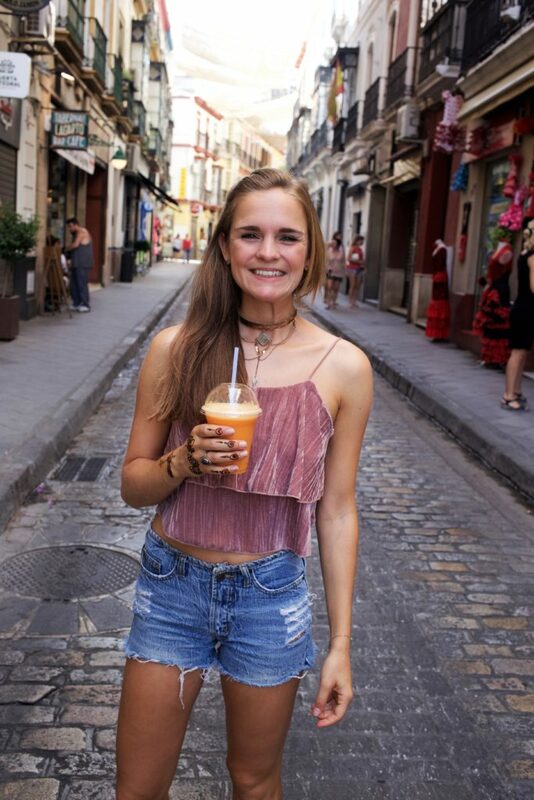 If you want to start your day 100% healthy, visit MilkAway (at Plaza Alfalfa). 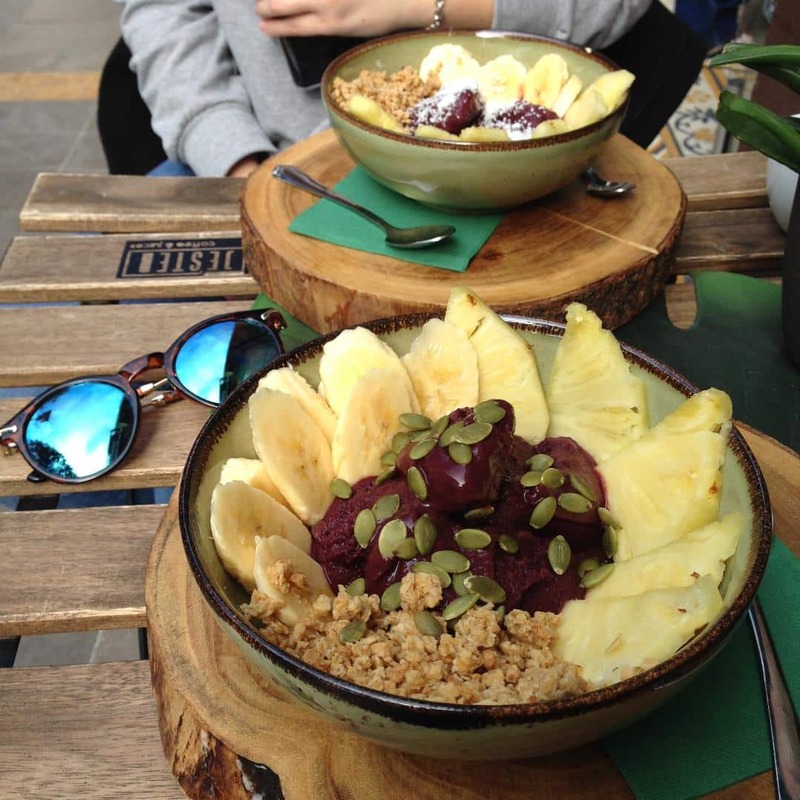 Unfortunately there are only three tables to sit, but you can also order take away and sit down at the stairs at the fountain outside and enjoy the sun 🙂 MilkAway offers smoothies, porridge, muesli bowls, acai bowls, salads and great sandwiches – everything super healthy! 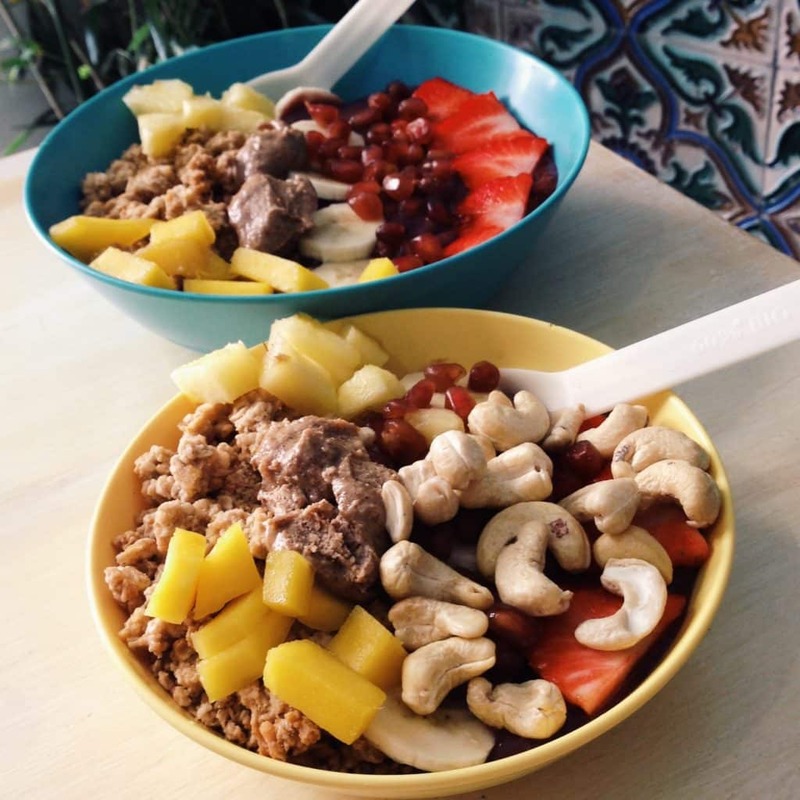 My personal favorite is the acaibowl topped with almond butter, cashews and dates (only 4,50€!!!). Another great spot – not only for breakfast- is “La Cacharreria“. It’s a small place with a cosy atmosphere near the Setas. 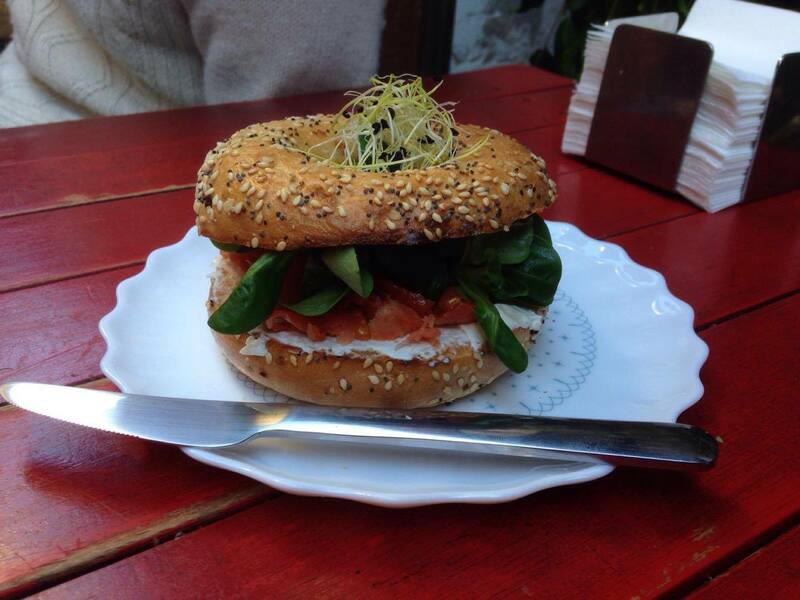 They offer smoothies, great coffee, delicious cakes and muesli bowls, salads and (my absolute favorite) BAGELS! It’s always quite busy – especially on the weekends – but you can’t reserve a table, so make sure you get there and bring some time. IMPORTANT: every day apart from 3pm you can get 2 mojitos for 5€. This little Café is situated near the Jardines del Alcazar. 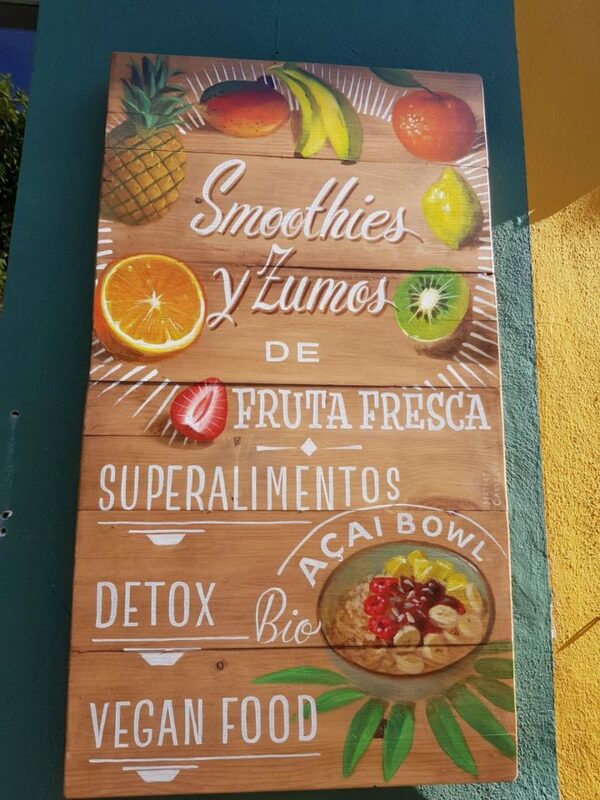 They spoil you with great coffee, yoghurt and acai bowls, fresh baked cakes, healthy smoothies, bagels and much more. You can enjoy your healthy breakfast on one of the feew tables outside in the sun, while watching the people passing by… (my favorite hobby 😀 ).